There are so many flowers with lily in the common name. I realized this when I started hosting a group on redbubble. The group is All Glorious Lilies. It was intended to feature Lilium lilies only. Since the end of January the group expanded to include everything in the Liliaceae family as well as flowers with lily in the common name. Doing some research, I found out that plant families are in the process of being organized. The defining factor is whether the genus plants are actually related. So many genera were removed from the Liliaceae family were removed and located elsewhere. 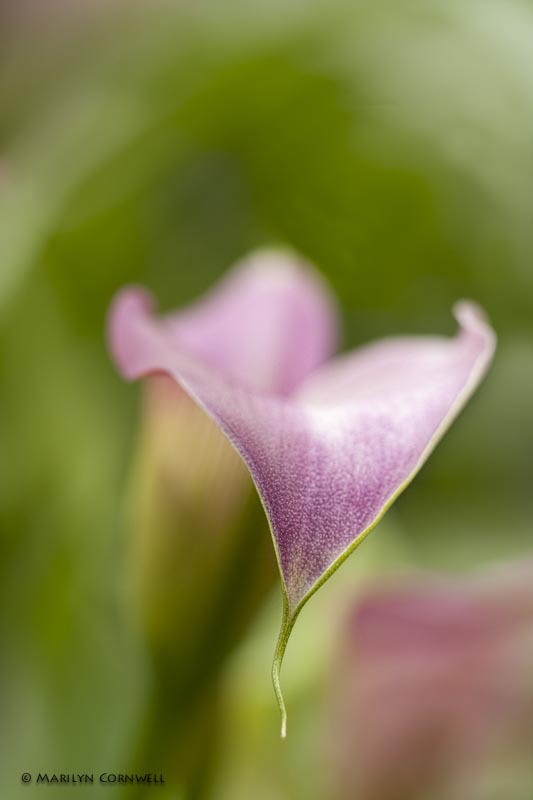 There are now only a few genera in the Lily family - of which Lilium and Tulips are the best known. The flower below is a calla lily, one of the flowers with lily in its common name.